Ovation at Oak Tree is Opening its gates! The Elm model home offers approximately 1,577 square feet of living space and has two bedrooms, two bathrooms, and an attached two-car garage. Some of the features include single-level living, hardwood kitchen cabinets, energy-efficient amenities, stainless steel appliances, master suites with walk-in closets, ten-foot ceilings, and covered patios. This active adult community will offer a total of six home designs that are priced starting in the low $300s. 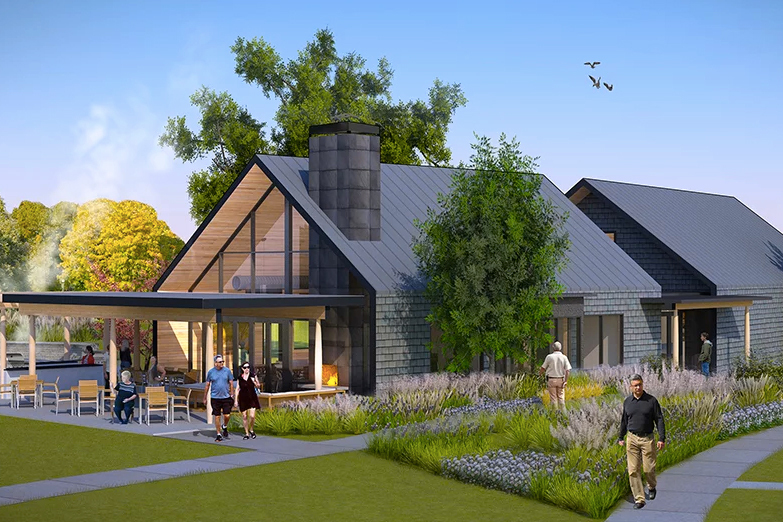 Ovation at Oak Tree will also provide residents with resort-style amenities. Two modern clubhouses will host plenty of social and recreational spaces along with indoor and outdoor amenities. The first of two amenity-rich clubhouses, the 4,500 square-foot The Pavilion, is scheduled to open in late 2017. The 13,000 square-foot The Village Club will open in winter of 2018. Request more information about this event.